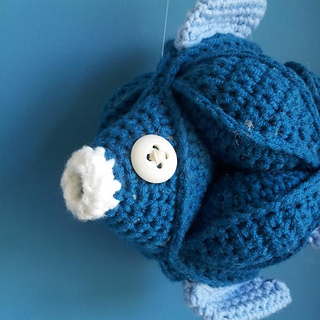 Meet Fin the Crochet Fish Puzzle. 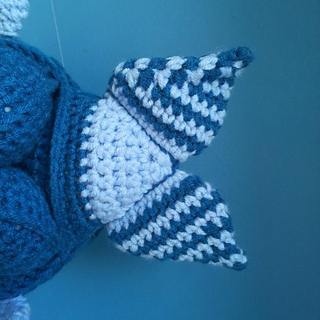 He is the most recent of my Amamani (Amigurumi Amish Puzzle Animals) and I must confess that I am more than a little bit in love with him. 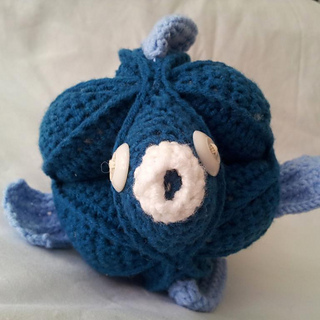 He is based on the original Crochet Amish Puzzle Ball, and as such comes apart into 3 segments, or rings, which then have to be re-assembled to form the fish. 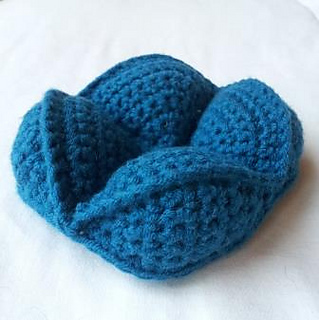 The chunky design makes it perfect for little hands to grab hold of and your colour options are limitless! 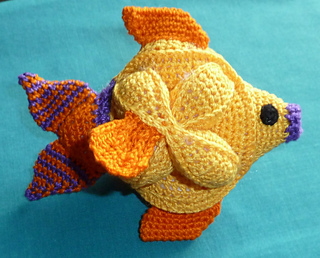 The instructions in the pattern are for a 2-tone fish with a Main colour body, Contrasting colour fins and a striped tail. 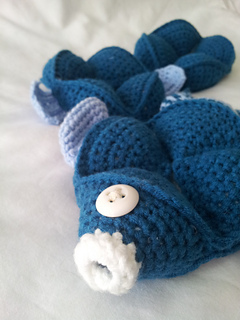 Using the hook and yarn specified, Fin works up to 13 cm wide x 17 cm high x 18 cm long. That is roughly 5” x 6.5” x 7”. 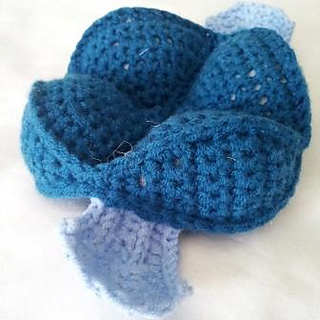 But you can use a bigger or smaller hook and thicker or thinner yarn. 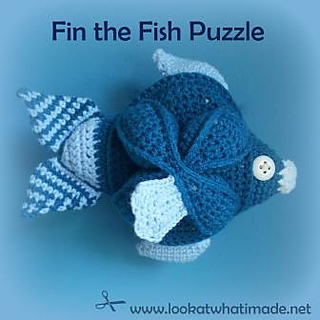 The pattern for Fin the Crochet Fish Puzzle is suitable for Advanced Beginners. It includes plenty of photos and additional instructions to make it as easy as possible for you to create your own Fish Puzzle. Please see my site for more information, including abbreviations and materials. And if this is your very first brush with my Amamani or even the puzzle ball, you might find it useful to look at the Puzzle Ball Pattern on my site first as it is continuously updated to make it easier to understand exactly how these puzzles are made.